"Expertly imagined, composed, drawn and colored, this is Wiesner at his best." "Wiesner once again produces a fantasy adventure that isn't like anything else around." "This exemplary Wiesnerian blend of ordinary and extraordinary incorporates the delights of Borrowers-style innovations, quintessential cat behavior, and Wiesner's own exquisitely fashioned art." "Once again Wiesner dips into his impressible imagination to deliver a mostly wordless conceptual picture book where the mundane and the magical collide. 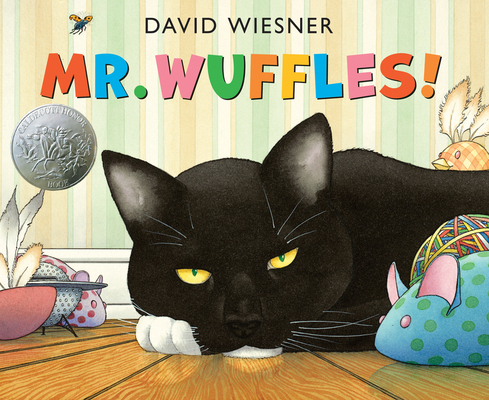 . . .Wiesner is a three-time Caldecott winner. Three. Fans will be ready to pounce." "Visual storytelling at its best." "The award-winning Wiesner (his trophy collection would make Meryl Streep blush) is a master of the form, a magical realist who makes the commonplace seem suddenly more interesting."